J'adore tout simplement. Le rythme est trop beau. Great song, but not her best. 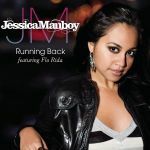 This is the debut single from Australian Singer and Song-Writer Jessica Mauboy. It has a very depth catchy tune throughout the song and it will want you to get up and dance to the tune. And for R&B lovers (like myself) the song includes Flo Rida for a good 30-45 secs. Yeah I couldn't like it either. She released so many better songs after this. Very good debut effort from Jess. In hindsight this is a pretty decent song that Flo Rida ruins. good song but Flo rida is not needed! I don't think this has aged particularly well. Would have probably liked it more without Flo Rida but still cool for a throwback. She's done well. Came in at #98 in my TOP 100 of 2008. Great song and catchy. Don't mind Flo Rida's influence. Something's not quite right with the change/blend in the melody from chorus to verse at times however. 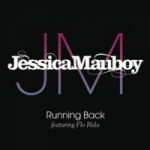 See, now, this is a great song from Jess and exactly what she should still be doing. Not crap like Get Em Girls. Even the presence of an overused rapper isn't too off-putting because this is a good song. This or Burn is her best. The debut track from my favourite artist of all time. She has done better since but this holds up quite well. It's very Ashanti from back in her Murder Inc. days. A great song to start off her career! Definitely the best song that she has ever made, which happened to be at the start of her career. Flo was a handy inclusion that worked. It's okay. But I don't like the repetition at the end of the chorus and the pointless Flo rap. Also the production seems off. One of her weakest efforts and didn't leave a good first impression. Great song. There was nearly no need for Flo Rida on this song other than to boost promotion. Happy it saw success but "Burn" is a lot better. I feel absolutely horrible saying this, considering she is nowadays my favorite Australian Idol alumni along with being one of my favourite Aussie artists, but after all the hype of nearly two years this was absolutely dire. Why was Flo Rida needed? Schön gesungen, da kann Flo Rida nicht viel versauen. Such a good song. Was such a world class RNB/pop song for the time. And was a real suprise seeing it came from an Aussie. It really started Jessica Mauboy career of in a big way and cemented her as one of the most successful Aussie Idols of all time.